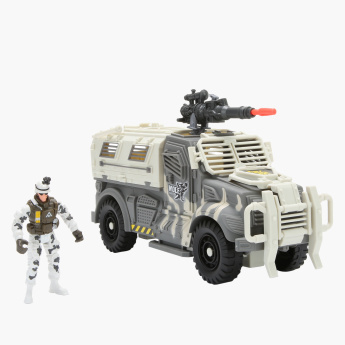 Soldier Force 9 Snow Leopard Vehicle Set | Multicolour | Miniature action figure in camouflage costume. Select this playset with a soldier force for your kid and make him happy on his birthday. 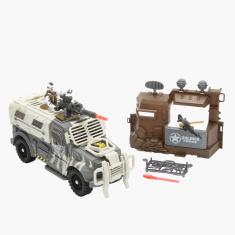 The set includes a soldier, a vehicle, ammunition and other pieces for a fun time. Feature 1 : Miniature action figure in camouflage costume. Feature 3 : Great choice for pretend play. Feature 2 : Includes a combat vehicle, military base and various weapons and tools.